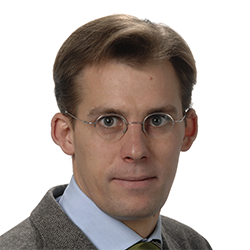 Ulrich Schüller has studied Medicine in Freiburg, Bonn, Paris and Munich. He then started residency in the department of Neuropathology in Bonn before he did a two-year post-doc in the lab of Dr. David Rowitch at Dana-Farber in Boston, MA. Back in Germany, he started his own lab at the Ludwig-Maximilians-University in Munich and was board certified for Neuropathology in 2009. 2016, he moved to the University of Hamburg as a professor for molecular pediatric Neuro-Oncology and serves as a senior physician in the Institute of Neuropathology. His research is focused on developmental neurobiology and pediatric Neuro-Oncology and addresses questions of basic science as well as translational research.